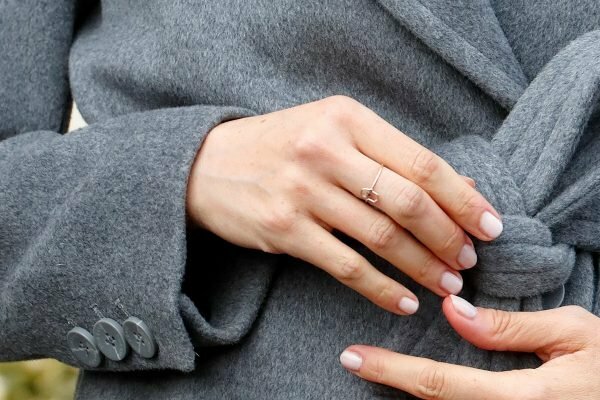 Meghan Markle style: The meaning behind the Duchess' new ring. The special “protective” meaning behind Meghan Markle's new ring. 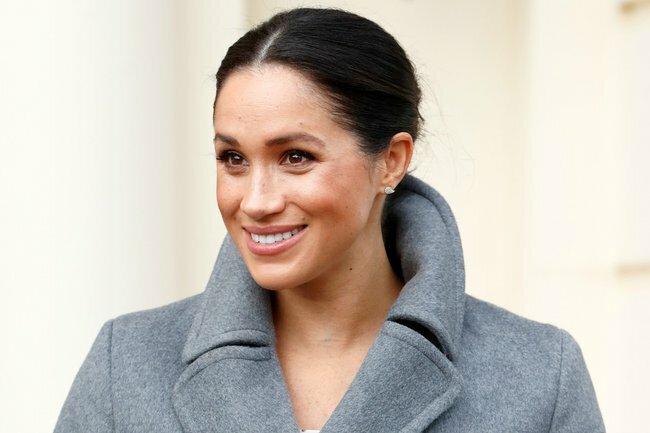 When Meghan Markle attended a solo royal visit to greet the residents of Brinsworth House, a nursing and retirement home for former entertainment professionals, the world was focused on her growing baby bump. But there was something else we all missed. On the middle finger of her right hand, Meghan wore a delicate hamsa hand ring with a blue sapphire eye, and according to Jewish and Islamic culture, the symbol is believed to protect the owner from evil and bring happiness, good health and fortune to the holder. We love the delicate, charming detail. Image: Getty. While it&apos;s not as affordable as Meghan&apos;s beautiful $100 Meredith Hahn &apos;Love&apos; ring that she wore while visiting London&apos;s Hubb Community Kitchen, you can get the exact same ring for $440 from the label Kismet by Milka, should you want to copy the Duchess&apos; style. 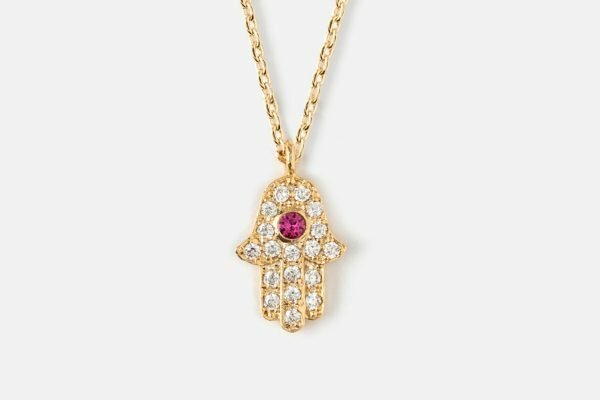 However, if you&apos;re after something a little bit more budget friendly, here are some other pieces of hamsa hand-inspired jewellery to help bring you all the good vibes for 2019. 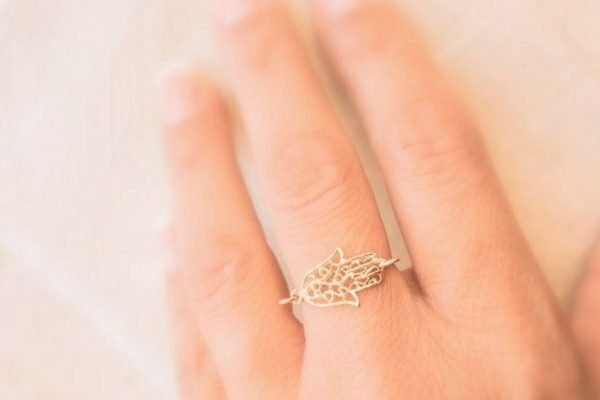 Etsy, Handmade Hamsa Hand Ring, $31.57. Orelia London, Crystal Hamsa Ditsy Necklace, $55. 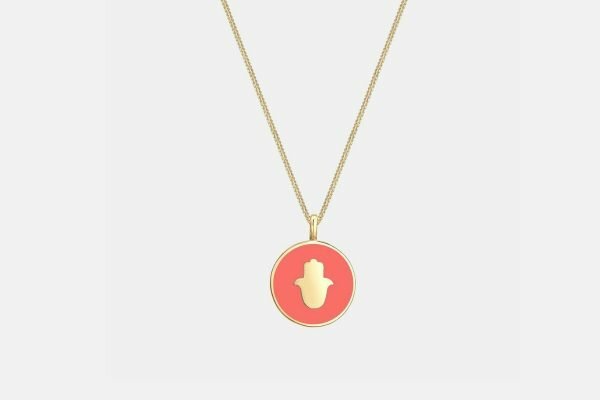 Elli Jewelry, Hamsa Hand Pendant, $79.90. 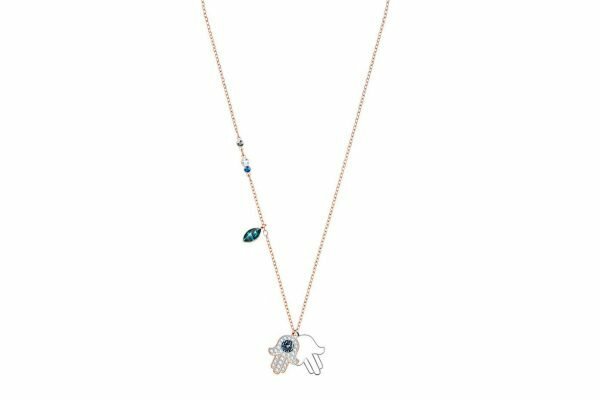 Swarovski, Duo Hamsa Hand Pendant Necklace, $129. 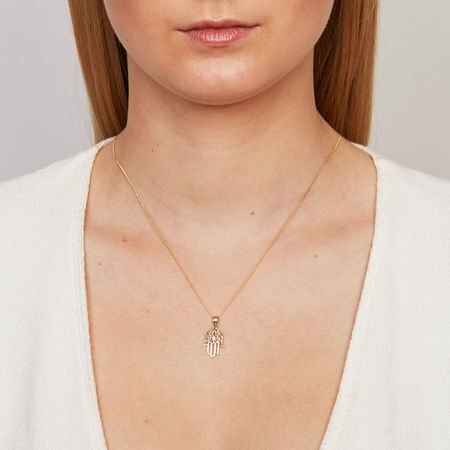 Michael Hill, Hamsa Hand Pendant in 10ct Yellow Gold, $139. Observe: Meghan Markle&apos;s style before and after becoming a royal. Were you aware of the meaning behind the Hamsa Hand? Do you own any jewellery inspired by the symbol? Tell us in a comment below!